It's time to take advantage of these discounts and vacation! breakfast buffet each morning and Shuttle service to the parks daily. But saving of 50% in car rental for the week. Dates available all year, just $549, the price is for the whole package... This is the time to save big. Buy now and start enjoying your holiday when you like, because you expect magical fantasies and epic adventures that will make you very happy. A fabulous 4 days for 4 people, daily breakfast, 2 tickets to parks, transport to parks and much more! 50% discount on economy car rental for 6 days. Car collection station in Orlando MCO Airport. 6 days 5 nightsstandard hotel room that sleeps up to 4 people. The Standard Room has 2 queen size beds, free high speed internet, free newspaper, free coffee available 24 hours in the lobby, bathroom and A/C. 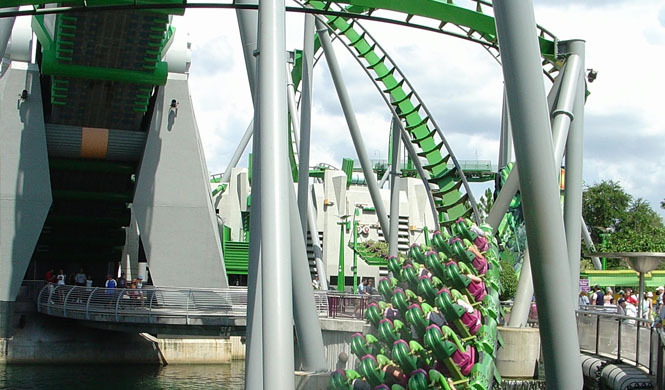 Unlimited transfersbetween the hotel and theme parks, for 4 people. It includes a welcoming breakfast with a personalized 90 minute VIP tour by our installations. Never has there existed a better moment to plan the vacations of your life because there’s new attractions and things to see and do like never before. Give yourself the satisfaction of using your vacations to emerge in a world of fantasies, for just only $549, where you will find a dazzling array of many entertainment, attractions, and recreationalactivities. Imagine visiting many different countries in a single day, enjoying dishes and drinks from each while enjoying music, acrobatics and live entertainment.This is all possible in Epcot ®, or sharing the Incomparable charmof MagicKingdom® with your family, where we promise that your imagination will fly with the most dazzling fireworks you’ve ever seen while capturing the beauty of fairy tales with exciting entertainment, classic attractions, behind-the-scenes tours and beloved Disney characters. 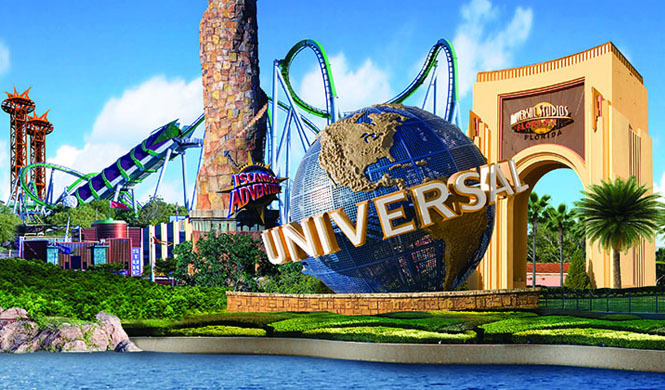 Besides the rush of adrenaline experienced in Universal Studios and Islands of Adventure from the spectacular rides and shows, many interactive attractions capture the stories and myths of popular properties, such as Harry Potter, Transformers, and The Simpsons, among others. Or if you want to simply relax at the edge of a pool while enjoying the facilities of our hotels, all this and more is possible with our super cheap packages reserved especially for you and your family while enjoying the facilities of our hotels, all this and more. The Holiday Inn Resort in Lake Buena Vista offers luxurious spaces and is an appropriate place for children, offering recreation for the family, to ensure a fun-filled vacation. Facilities include a cinema, swimming pools, playground, basketball half court, Applebee's, game room, gift shop, newsstand, business center, meeting rooms, multilingual staff and a gift shop. 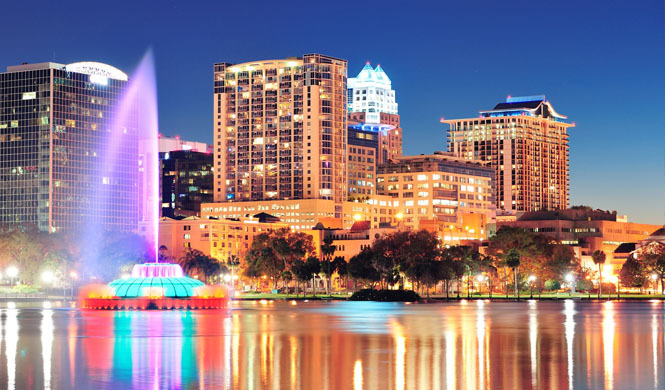 Enjoy the free shuttle to Orange County Convention Center, Marriott World Center Convention and Gaylord Palms Resort & Convention Center to ensure you keep, and save, time. You'll love the room service roomdesigned to make life easier and your holiday an absolute joy. The 197 rooms have queen size beds. All rooms are spacious, comfortable, clean and waiting for you to enjoy them. This could be the right hotel whether you're in town with your family vacation, business meeting or group event. Ramada Inn Orlando: Ramada Worldwide offers a warm and pleasant stay, offering almost 900 hotels in over 50 countries worldwide. The distinguishingfeatures include free wireless high speed internet, cozy beds for a relaxing stay, guest bathrooms with toiletries provided by The San Francisco SoapCompany.A variety of hotel options in the area to ensure your stay, be it a family holiday or a fast “stop & recharge”, a large-scale conference or a lavish wedding. Radisson Resort is the right place for your holidays. Located on 20 acres of lush greenery, our full service hotel captivate leisure travelers and business with well appointed rooms, unparalleled service, and a wide variety of services. An amazing location offers great shopping, restaurants, golf courses and attractions within walking distance of our hotel in Orlando. Perfect for weekend getaways or extended stays, our 718 rooms and suites feature a king or two double beds with duvets and divine conveniences like 37” HDTV, refrigerator and free Wi-Fi. Your stay will be a memorable collection of luxuries, courtesy of modern amenities, including our restaurants, pools, a poolside bar, whirlpool, fitness center, tennis courts, business center and a meeting and event space. At Sheraton Hotel & Resort, embark on an adventure full of fun in one of our 486 rooms, including 90 junior suites, equipped with bunk-bed rooms family style or comfortable living. All rooms have a balcony or patio. Each of our rooms and suites offers a wonderful combination of comfort and adventure as well as access to high speed internet for a fee, a refrigerator, complimentary in-room safes, and voicemail. No need to worry about bringing your hair dryer; we have one in each of our rooms. And with an iron and ironing board, pay-per-view movies on the TV in the room and complimentary freshly brewed coffee with your in-room coffee maker, you will feel right at home. After a day of friends, family, or business, there is more to enjoy at the Sheraton: feeling welcomed back into your room (which are totally non-smoking. Check out thelake with a sandy beach, water sports and fishing pier, 18-hole miniature golf, beach volleyball, tennis, basketball, shuffleboard and horseshoes, planned activities for children, adolescents and adults, KokomosLakesideTiki Bar poolside, and Big KahunaTiki Bar and Grill, not to mention our five pools, a water park for children and 4 spa on site. 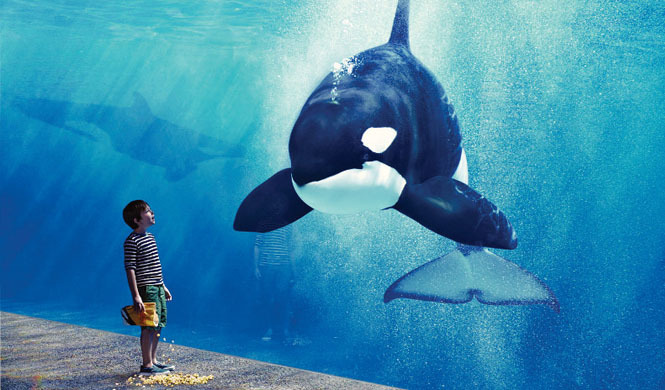 Central Florida is home to attractions such as Walt Disney World, Universal Studios, Sea World, Wet 'n Wild, Gatorland, Lakeridge Winery, ArabianNights, Medieval Times, and PiratesAdventure. We will be your holiday destination and the best kept secret of Central Florida! 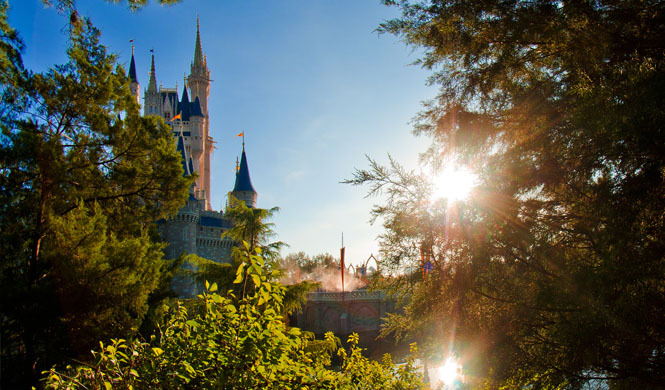 Hotels located maximum 20 minutes of the Disney parks. Pleasant, safe rooms for children. Free continental breakfast daily (which includes scrambled eggs, sausage, freshly made waffles, and much more at selected hotels). 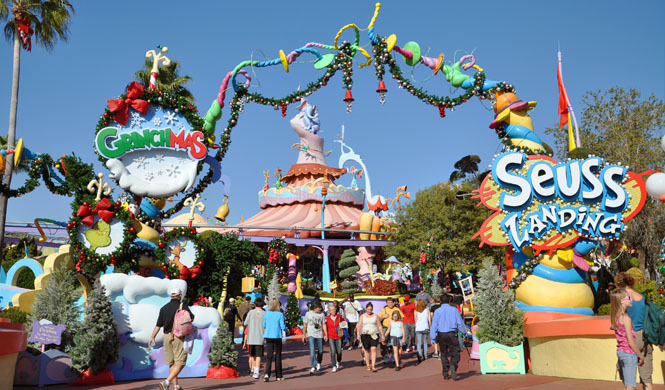 Free shuttle service to Disney theme parks, Universal Orlando and SeaWorld daily. - Holiday Inn Resort in Lake Buena Vista. - Avanti resort, Ramada Plaza resort. 1- The price is $549 per person? * Not at all, with only $549 dollares you and your family (maximum 4 people) can enjoy this wonderful holiday. 2- As I redeem my voucher? * After purchase, you will receive a voucher via email that contains the description of your package and coupon code. With this voucher you will be ready to make your reservation whenever you like, keeping in mind prior to your arrival date selected date at least 20 days. 3- After receiving my voucher I need to use my vacation right away? * No. You have 12 months to use their vacation, however from the moment you receive your voucher you can already make your reservation so be it for next year. 5- What I need to drive in USA? * A driver's license from your current country and be over +25 years. 6- What I need to pick up the car when I arrive? * A driver's license from your current country and a credit card VISA, MasterCard, American Express, Discover, Diners. 7- Where to pick up the car? 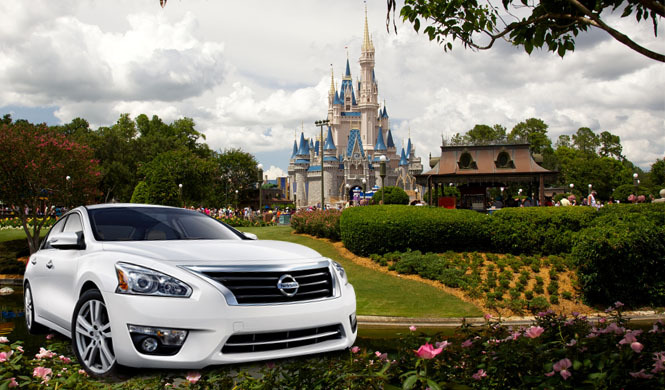 * The car will pick you up at Orlando International Airport MCO, and shall go to the desk of the company that you confirm your car rental. 8- What "NO" is included with the rental car? 9- The offer includes airport pick me? * Offer only include transfers between the hotel and the parks, we do not cover airport routes. But that will have the car included. 10- The meals are included? * Only includes welcome breakfast. 11- When requesting my reservation pus select one of the hotels? * As described terms, the hotels will be assigned according to availability, can not be selected. The reason is simple, we offer these discounts in exchange for you to know the facilities of the hotels participating in this offer, in a fun personalized tour. You give away us 90 minutes of your time so we can show you how to get 100% out of your current and future vacations. 13- And I can get both only in exchange for 90 minutes of my time? Indeed! Both only change you know our resorts and facilities, this fabulous discount would attach to all customers who participate, best of all is that the presentation only takes 90 minutes including a rich welcome breakfast for the entire family. 14. After applying my reservation when I receive confirmation of my hotel assigned? * You will receive an automated email after requesting a reservation, which will indicate that your request is being processed and then a confirmation email in about 3-5 working days assigned hotel information. Depending on the season, this might take a little longer. 15. What type of room assigned me? * Your room will be standard, with two double beds and one room for each receive a coupon for up to 4 people maximum. For larger or more capable guest rooms, you can request for an additional cost at the time of your reservation. 16- If you desire additional days of my stay, where do I order? 17- Can I use more than one coupon to extend my stay? * We do not allow consecutive use of coupons for extension of stay, even may be combined with similar properties acquired with other agencies. More than one coupon could be purchased, but must be used for the same family 12 months or more after the first coupon use. To extend your stay or to update your package you can pay an additional fee at the time of booking. 18- Can I buy a voucher for friends or family and travel on the same date and at the same hotel? * Buyers can purchase multiple coupons for friends and family, but could not use uo simultaneously in the same hotel on the same dates. If I could add people to stay for an additional cost, which cover changes to larger rooms with more capacity, but will validate only one coupon. Note that from the time of purchase will (18 months) to make use of this package holidays and reservations must be requested at least 60 days prior to arrival. These holidays are not valid for groups. A group is considered two or more families traveling together or wish to meet at himself resort, hotel, during the same holiday period. Changes dates Reservations must be booked at least 10 days before the confirmed date. Must have at least one card with the logo (Visa ®, MasterCard ®, Discover ® or American Express ®) to make your check in, is not permitted debit or ATH. Other charges apply including: Babysitting and laundry service. Limit of four people can stay in a hotel room, including infants. Offer married or cohabiting couples with any sexual preference, with proof of cohabitation for at least three years, as evidence of coexistence can show (lease, identification with the same address, utility bills, bank accounts, insurance, or letter notarized). At least one party of the couple must be between 25-65 years old and both sides of the couple must currently be employed and incomes. (Detallesseránverificadoúnicamente verbally). No person may acquire more than one coupon for extended stays or receive most entries. You can buy more than one coupon to be used 12 months after he used his first coupon. This holiday can not be used in conjunction with any other promotional offer rentals that have the same or similar terms and conditions, and is acquired by another agency. * Daily fee: $ 19.99 approximately. Ladiferencia 50% of the fee is covered in the package. This promotion and prices are obtained only through JZVacations.com, on behalf of the participating hotels. Participation required a custom presentation at the resort or hotel (about 90 minutes) to become familiar with all available services and benefits that can be obtained during and after your stay. No booking fee includes $89.99 applies at the time of your reservation request destination. Offer final sale, we do not accept cancellations or refunds apply for this type of promotional offers. Offer not podrásercanjeadapordinero cash. This offer is not valid for residents of Florida in Brevard, Duval, Lake, Osceola, Orange, Pinellas, Seminole, Volusia counties. For your convenience, all reservations must be requested through our Facebook or directly on our Website, please make your reservation by following the steps on the reservation button. Holidays dates like July 4th, Labor Day, Thanksgiving, Christmas, or dates featuring special events, must be reserved with at least 30 days in advance and are subject to availability. 4 days for a couple (all inclusive) meals, drinks, shows, entertainment and much more! 5 days for a couple (all inclusive) meals, drinks, shows, entertainment and much more! Five days for 4 peoples, european plan, and much more! Three days for 4 people, welcome breakfast, and much more!